The attorneys of Robertson Law, PLLC worked with the assistance of attorneys from Williamson & Williams, in a class action lawsuit against the Washington State Department of Licensing. This suit sought refund of the fees paid by Petitioners who requested a hearing with the DOL to contest a license suspension or revocation due to a DUI-related arrest. It has been our sincere belief that requiring a fee for basic due process protections is fundamentally unfair and contrary to law. Our clients sought refunds of the fees paid to DOL to receive a hearing with the Department. This hearing was designed to contest the suspension or revocation which stems from a DUI related arrest. If a hearing is not requested, the suspension typically goes into effect 60 days from the time of arrest.If fees are not paid, the suspensions are mandatory; with no review of the facts to determine whether the suspensions were lawful. Our clients (like thousands of others) paid the fee in order to receive Due Process.In 2012, our clients filed a lawsuit against the State of Washington, specifically the Department of Licensing, asking for their money back, and further sought class certification under CR 23. Unfortunately, a King County Superior Court judge dismissed this suit. Our firm then made the strategic decision to seek direct review of this decision before the Washington State Supreme Court, bypassing the normal appellate review in the Court of Appeals. This request was denied, and it was remanded back to the Court of Appeals. Division One of the Court of Appeals considered our briefing and heard our oral argument back in November 2014. We eventually received a ruling against us from the Court of Appeals. That decision can be found at the following link: http://www.courts.wa.gov/opinions/pdf/716336.pdf . We strongly believed that the opinion had a number of issues which were worthy of further review. We completed and filed a petition for review of that decision with the Supreme Court and the State. Our claims related to the fundamentally unfair practice of requiring money up front to receive procedural due process. Due process constrains governmental decision-making that deprives individuals of liberty or property interests within the meaning of the Due Process clause. Due process is a flexible concept; but an essential principle is the right to notice and a meaningful opportunity to be heard. Under standards for due process under the Federal and State Constitutions, the State must provide a driver with some form of due process to challenge a proposed license suspension before it goes into effect. This is particularly critical with the important property interest that drivers have in their privilege to drive a vehicle in this state. Washington voters enacted the Implied Consent law in 1968. 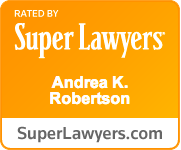 This law operates to suspend the driving privileges of any driver following an arrest for DUI. This process is separate from any criminal charges that may follow the arrest. Under the Implied Consent law, the Department provides drivers with the opportunity to request an administrative hearing before a Department hearing examiner, via RCW 46.20.308(8). The process for instituting a license suspension, however, commences with the arresting officer. Once the officer files his or her report with the Department alleging statutory requirements for the suspension have been met, the suspension is mandatory. Unless a driver requests a hearing, the suspension commences with no consideration whether grounds actually exist to justify the suspension. Beginning in 1994, the DOL began charging a fee for this hearing. Starting at $100; the fee eventually increased to $375. A provision allows indigent drivers to request a waiver of this fee, but anyone who does not qualify as "indigent" must pay this fee in order to have a hearing convened. No legal process exists for drivers to seek a refund of this fee once paid, even if the hearing examiner ultimately rules in their favor and the license suspension is cancelled. RCW 46.20.308(8). Unfortunately, on October 2, 2015, we received a final ruling back from the Washington State Supreme Court, denying our request for review of the decision from Washington Court of Appeals Division One. At that point, we had spent years on the case. We did not want to give up. So we spent a substantial amount of time researching and considering the implications and approaches which would be involved in a petition to the U.S. Supreme Court, which would have been the only remaining option available to the potential class members. We were of course deeply disappointed in the decision of the State Supreme Court, as we believed (and still do believe) this fee-for-hearing negatively impacts the due process rights of citizens in the State of Washington. For the Supreme Court to accept review of a case like ours, the Court must be convinced of the federal importance of the issue; it cannot be a mere review of an erroneous state court. Citizens have no guaranteed rights to an appeal. A petition for certiorari is unfortunately a very expensive and time consuming process, with a very low chance of acceptance. The U.S. Supreme Court receives approximately 10,000 petitions for a writ of certiorari each year. The Court grants and hears oral argument in about 75-80 cases. The cost of the petition (printing, binding, filing, and delivery) runs into several thousands of dollars. 1) Driving is a privilege, and not a constitutionally protected right. Because of that, we cannot contest loss of a driver's license in the same way that we could a deprivation of liberty. We do not believe that the U.S. Supreme Court will find a driver's license to be a “fundamental” right under federal due process considerations, which would grant it special protections under U.S. law, and would provide us a stronger foundation upon which to argue that the State cannot force the payment of a fee to receive a hearing to contest the suspension. This is a conclusion we have reached after reviewing case law that includes challenges to parental rights termination, petitions for dissolution, filing for bankruptcy, and filing to contest a reduction in welfare benefits. As important as we believe the property interests are in our driver's licenses, we did not believe the U.S. Supreme Court would extend the extra consideration to this property right. 2) We believe that the State statute's inclusion of an “indigency waiver” in the statute (as a means for indigent drivers to apply to waive the fee for hearing) provides a clear means to distinguish the State's deprivation of a driver's license from other States' property deprivations which disproportionally impacted poor individuals. While some case law provides us a foundation with which to argue parallel challenges to deprivation of other important property interests, these findings are often coupled with a clear analysis of how the deprivations at issue amount to a deprivation of property with a disproportionate impact on the poorer citizens who are struggling with this State action. Because Washington has provided a waiver when indigency is found, it gives the U.S. Supreme Court a simple means by which to find this doesn't elevate the due process concerns to the same level as do other statutory schemes. While we don't agree, we have been forced to concede that this is almost certainly the finding they would reach (if they were to take the unlikely step of accepting review at all). 3) The U.S. Supreme Court has previously upheld other states' suspensions of drivers' licenses in administrative proceedings which actually afforded no pre-suspension means to contest the action. The Supreme Court found that public safety concerns related to drunk driving would take priority and provide a viable state interest, and incentives to request a hearing would “undermine” the state's safety interest, and generate a fiscal and administrative burden on the states. Unfortunately, this opinion has not been undermined over the years, and we did not see our litigation as something that would interest the Supreme Court, given that it has supported even less protection for drivers' rights in the past. 4) Generally, the Supreme Court has found that fee requirements are examined for “rationality,” and we believe that Washington's claimed need for revenue to offset costs of administering these hearings will be upheld as satisfying the rationality requirement, particularly when we believe that the Court will find the license suspensions would not impede basic rights which have heightened protections. 5) Due to the foregoing state of the law, we did not believe that the Supreme Court would even accept review, as the Court would likely find that this is a settled area of law, and is not worthy of revisiting, as no federal implications would demand Supreme Court intervention. In the extremely unlikely event that review was granted, we saw almost no chance of prevailing, under the makeup of the current Supreme Court. While this outcome was deeply disappointing, we were proud of the strong case we made to challenge this fee and its impact upon drivers who seek due process. Perhaps with a different set of circumstances or a change in the law(s) at issue, we will be able to renew this challenge again in the future.